Most of the players in the Lithuanian basketball club Neptūnas have grown up in the city of Klaipėda, which has a little more than 150,000 inhabitants. The majority of them went to the same school, to the same grade and used to play in the same high school team. Years later, those kids who have become professional basketball players, are joining forces again. This time, it happens at the main stage of European basketball, the Euroleague. No one knows them and, to be honest, no one gave them any credit before the season. Surprisingly, or maybe not, they have come to be the sensation of the Euroleague, especially if they qualify for the next stage of the Euroleague, and they probably will. Neptūnas is not only the new sensation of the Euroleague, but it also presents an innovative and revolutionary model in European basketball, according to Israeli news website walla.com. Nine players from the squad, which are about 75% of the faculty, were born and raised in Klaipėda. 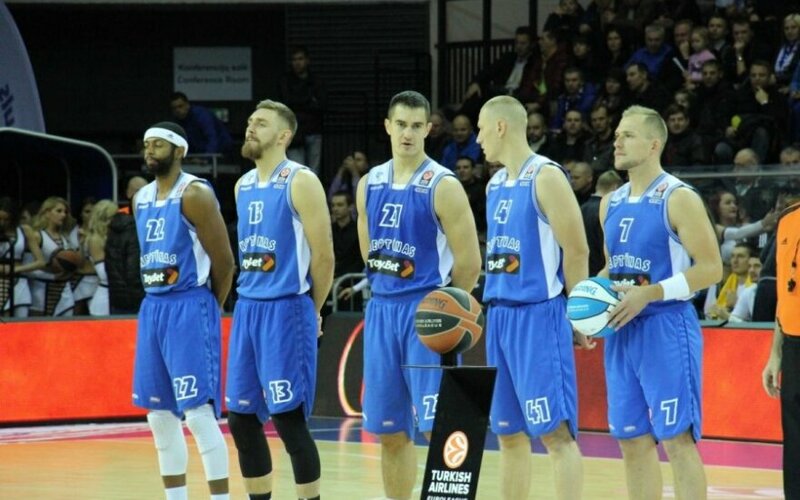 After seven games, the Euroleague teams memorized the names: Deivydas Galius, Vytautas Šarašauskas, Donatas Zavatskas, Martynas Mažeika, Egidijus Dimša, Mindaugas Girdžiūnas, Valdas Vasylius, Arnas Botkevičius, Simas Galdikas. All of them were born and raised in the small Lithuanian port city Klaipėda. More than that, four of them even went to the same school. Two of them sat in the same classroom and three of them used to play in the same team in high school. They all have one common quality: they are almost completely unknown in Europe. But they are well-known in their city. Their small stadium, filled with approximately 5,400 loyal fans, many of whom are personally acquainted with the players. Years after their high school superstar periods, these players are once again in the front line of the city’s basketball. The visitors in the city will be able to see huge posters of their local heroes in the streets. The people of Klaipėda are watching them closely, in each mach not only in the Euroleague, but also in other tournaments such as the Lithuanian Basketball League, are showing their support and pushing the team forward. Neptūnas, which started in 1964 and is turning 50 this season, does not have much experience in the main stages of Europe. 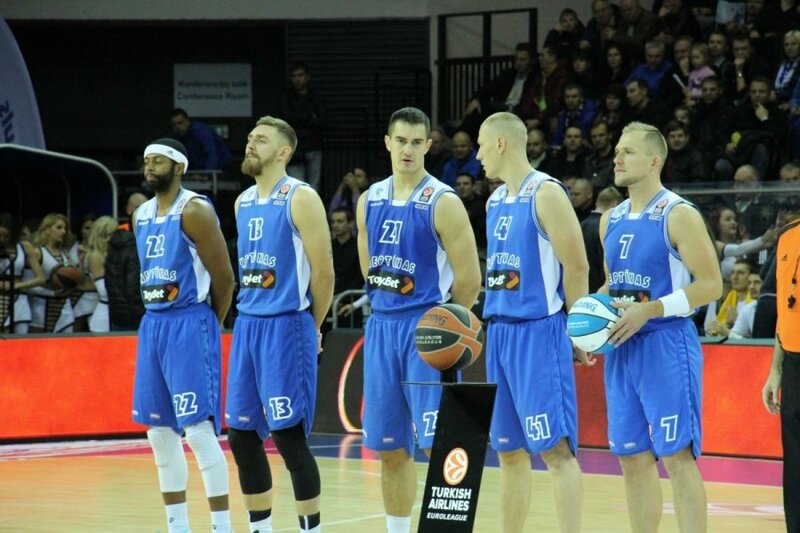 Only two seasons ago, the breakthrough was achieved when the small club from Klaipėda took part in the VTB League, the League of Eastern Europe, despite the fact that in the previous season Neptūnas finished only in the sixth place in the Lithuanian league. (Interesting to note that the Lithuanian league is not a very high quality league. Besides Lietuvos Rytas Vilnius, Žalgiris Kaunas and now Neptūnas Klaipėda, other teams are quite weak. Most of the roaster the national Lithuanian team is composed of players from Rytas and Žalgiris). During the previous season, the unthinkable has happened: Rytas Vilnius, which for years controlled the Lithuanian league with Kaunas Žalgiris, was unexpectedly eliminated during playoffs with Neptūnas. And suddenly, Neptūnas found itself in the finals for the first time in its history. There, Klaipėda’s club lost to Žalgiris but the second place gave them a spot in the Euroleague. Everyone expected that Neptūnas would sign several experienced Euroleague players, even from the local Lithuanian market. But, surprisingly, the line chosen by the General Manager Osvaldas Kuraiskas was completely different. He decided that, this season, the first Euroleague season for Neptūnas, the club will rely mostly on local players. But when we say “local players”, we mean players from Klaipėda who haven’t got any experience in the big games. And what was the result? Twelve Lithuanians and one American: Mustafa Shakur. Only three players in the team have previous experience in the Euroleague: Mustafa Shakur, Donatas Zaveckas and Justas Sinica. “I do not think that there was any team that had ever done something like this in the Euroleague,” said Neptūnas head coach Osvaldas Kuraiskas in an interview to Israeli news website walla.co.il, and added: “I'm pretty sure we're the only ones in the entire history who did something like this. We wanted to put Klaipėda on the map. This is a city of basketball. In this city grew up former famous players like Arvydas Macijauskas and Aurelijus Žukauskas, but the basketball team of the city has never been known. We thought that 'basketball in Klaipėda and Lithuania is so appreciated and known, so why sign foreign players?' And we signed intentionally our own players, who had grown up here with us. And now, when you see the results, you can realize that we were not wrong,” summarized Kuraiskas. The new concept that Neptūnas built during the last summer is working well now, even despite the recent loss to the Red Star Belgrade. Neptūnas has scored three victories and four losses and is now in the fourth place in the group and looking forward to the top 16 stage. Judging by the performance of the club, and the loyalty of its players to the club, to the city and to the fans, they will probably succeed. The “Cinderella” of the Euroleague is slowly earning acknowledgement and respect of other teams. And indeed, it is wonderful to see new faces growing up from the great and legendary Lithuanian basketball.